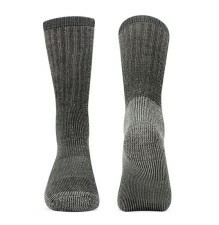 Merino wool socks are best for extreme cold or extreme heat climates. In winter months, merino wool will keep your feet cozy warm, dry, and repel water and moisture. In summer months, the merino sheep wool has a natural ability to repel moisture will ensure your feet are dry and not sweaty. Our Merino Wool Blend Socks construction features support zones in the ankle and over the Achilles and instep to keep the sock in place, sculpted cushioning to maximize fit and comfort, and a breathable forefoot zone for improved ventilation. • Great insulator. When it’s cold out your feet will be toasty and warm in your wool socks. 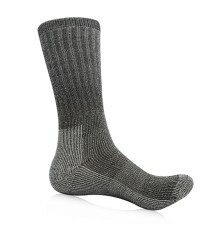 • Wool keeps its insulating properties while wet, which is perfect for sweaty feet. • Wool fibers naturally have anti-bacterial properties and are, therefore, odor resistant….